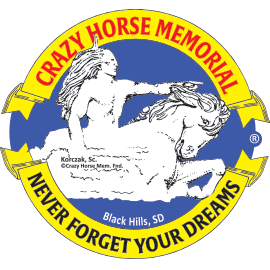 Made of high quality glassware and laser etched with a custom-made design for ©Crazy Horse Memorial. Whether they are displayed on your table or on your shelf, these will be a beautiful edition to your glassware collection. 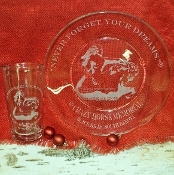 Sold seperately, the glass tumbler is $19.95 and the plate is $21.95. HeSapa Laser Solutions is an Indian owned and operated laser engraving business established in 2015. Walt Swan Jr. (Owner) is an enrolled member of the Cheyenne River Sioux Tribe. Made in the USA. Copyright © 2007-2019 Korczak's Heritage. All rights reserved.